Henning Larsen Architects won first place out of 134 global applicants for their design for the Uppsala Concert and Congress Hall in Sweden. The building is uniquely split both vertically and horizontally. Vertically split to offer a panoramic view of the historic city and horizontally to separate the structure into two accesses one from the historical town and the other from the modern Vaksala Torg square. Although modern in design, the structure compliments its historic surroundings, providing an exciting journey within architectural past and present. 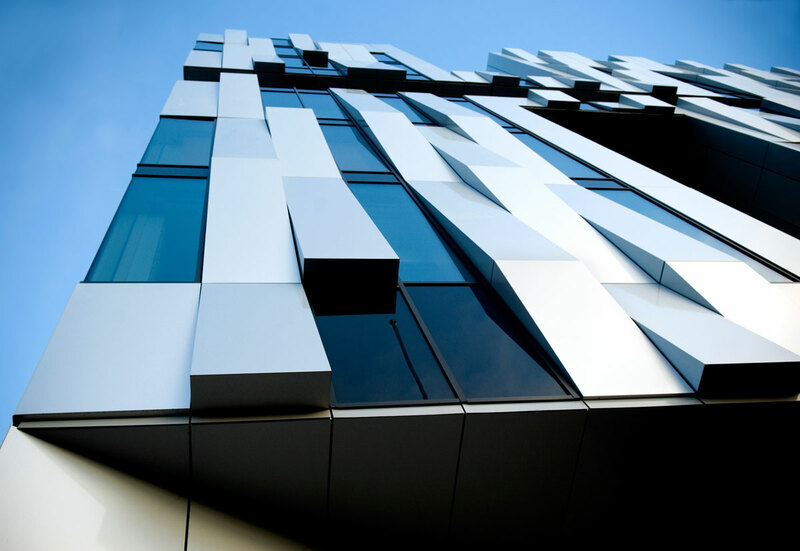 From a distance, the exterior appears to be several different shades of silver, while in fact it was fabricated in a three-dimensional fashion using only one color. 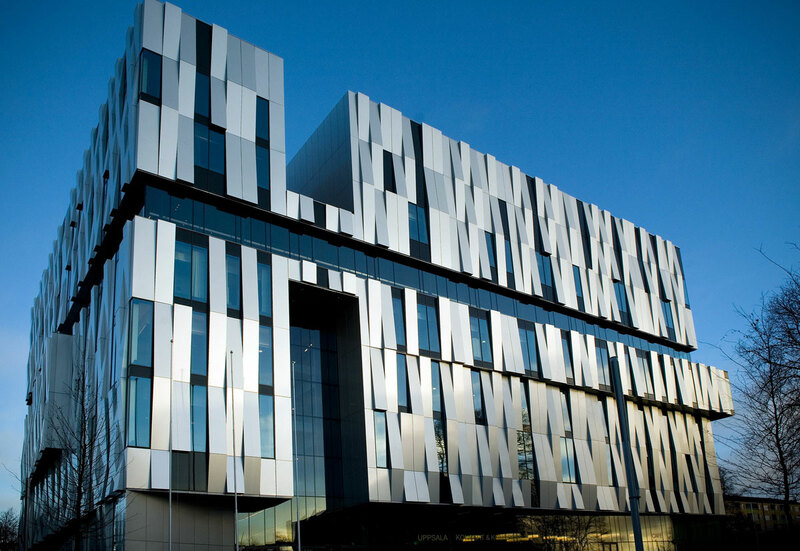 The building is enveloped in Sunrise Silver Metallic Alucobond panels. 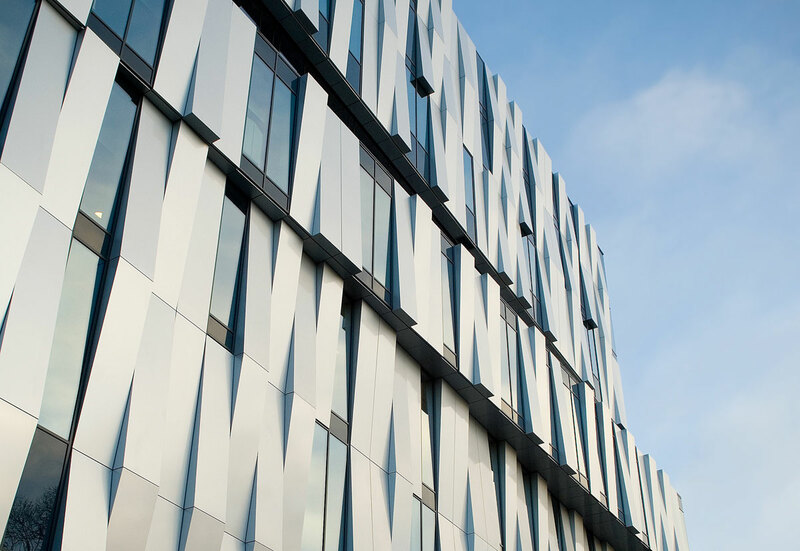 The aluminum composite material (ACM) offers a contemporary alternative to what is used in the surrounding classical architecture. Music is an incredibly important part of every culture; the concert hall unified the city’s music lovers, allowing it to become a sort of cultural epicenter. Interestingly, no real public use musical establishment existed in Uppsala before its construction. It became a great example of architecture’s ability to transform communities. 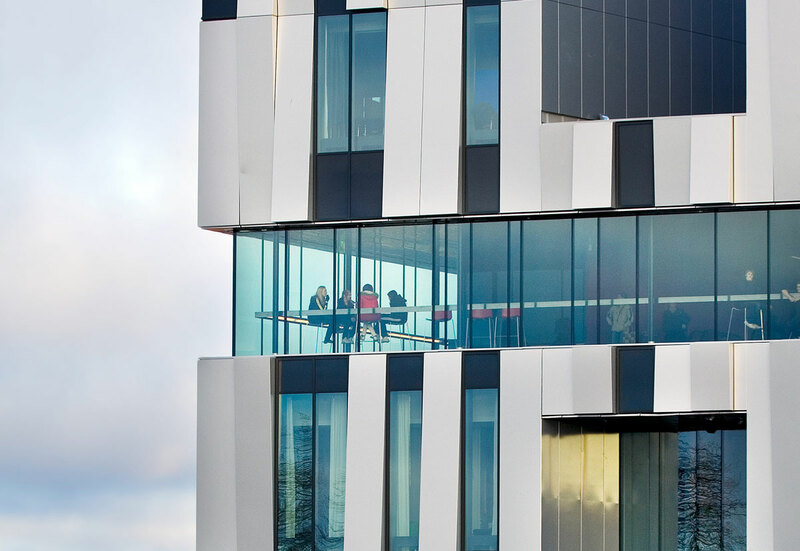 Architect Henning Larsen died on June 22, 2013, six years after the projects completion.